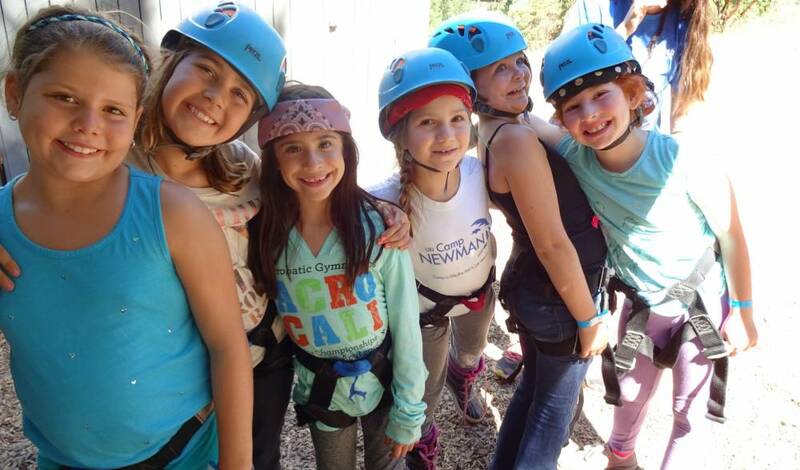 BRIEF CAMP DESCRIPTION: URJ Camp Newman offers fun, immersive Jewish experiences that empower people of all ages to better themselves, their communities and the world. Since 1947, the URJ Camp Newman community has impacted the lives of over 100,000 children, teens, and adults. Year after year, our campers return to renew the strong bonds of friendship they build here. Our hope is to provide each and every camper with a meaningful and memorable experience. CAMP LOCATION: Situated in the Santa Rosa hills, about an hour north of San Francisco, CA, Camp Newman provides the perfect setting for an unforgettable camp experience. With over 500 acres of land, great sports and arts facilities, a pool, an amphitheater, a sustainable farm and more, there are plentiful indoor and outdoor space for campers to learn, live and explore all summer. Miles away from the city glare, the star gazing is spectacular. And all campus buildings are within a few minutes’ walk of each other, creating an environment that is both safe and accessible for children of all ages. CAMP FACILITIES: Campers live with their counselors in one of several villages grouped by age and gender. Our facilities also include multiple indoor and outdoor program spaces (including a 700-person Amphitheater), a sustainable farm, a vineyard, four outdoor plazas, athletic facilities and fields, an alpine climbing tower, a low ropes course and a 400-feet zip line, overnight space, hiking trails, multiple arts facilities - and a pool and waterslide. CAMP PROGRAM INFO: At URJ Camp Newman, we’re building a foundation for a vibrant and joyful Jewish life. Rooted in Jewish values and guided by our experienced staff, we offer fun, immersive summer sessions that give your child the opportunity to develop community, teamwork, self-esteem, and individual skill. Activities include athletics, outdoor adventure sports, music, art, dance, leadership training, and social action. Campers celebrate their best selves, form lifelong friendships, and find a community where they belong. There are so many amazing things to do: Conquering the Alpine Tower as a team. Seeing the final point scored in Ultimate Frisbee. Dancing together on Shabbat. Singing arm-in-arm every night before bed. Hiking to the Star that overlooks camp. Making more friends in a week than they could all year. We believe that these transformative experiences inspire kids to bring camp home to their daily lives, applying what they learn here to better themselves, their communities and the world. CAMP LEADERSHIP CIT/LIT PROGRAMS: We have a phenomenal group of teens applying for spaces in these eight-week programs. Spaces fill quickly on a first come, first served basis, and require an intensive application process. Apply as early as possible! Info: 415.392.7080 or CampNewman[AT]urj.org. Avodah is a multifaceted, service-based program in which campers play an integral role in camp’s day-to-day operations. Avodahniks develop a strong work ethic and serve as Jewish role models at camp. Beyond daily activities, campers work diligently on a significant camp improvement project and march as a team in both the annual Pride Parade and AIDS Walk in San Francisco. Our highly-selective and popular CIT program trains our future staff and camp leadership, offering young adults a valuable personal and professional growth opportunity. Leadership workshops and Judaic programs are combined with practical hands-on training with children of all ages. CAMP SCHOLARSHIPS OR FINANCIAL ASSISTANCE: A lot has been written about the incredible power of Jewish Camp. A summer at Newman is an amazing experience, one that has lifelong benefits for the child, and meaningful reverberations that positively impact families, congregations & communities. To read more about the power of camp, click here. In difficult financial times, some families choose to forgo camp. But they shouldn’t! No one should have to miss the powerful and transformative power of camp because of the state of the economy or personal finances. Our hope is that everyone who wants to attend camp, can do so. YEAR-ROUND PROGRAMS: We present events every month in communities near you! URJ Camp Newman takes the magic of camp, translates it into a year-round experience, and brings it you! We connect children, youth and adults to an expansive menu of fun, immersive Jewish experiences in Santa Rosa and in your community, all year long. Along with our local synagogue youth groups and NFTY, we present everything from family fun days to high school parties to middle school outings. We offer "taste of camp" weekends for 2nd-6th graders, teen events, 8th grade events and more - all year long! These timeless, universal values form the backbone of every program we plan, anchoring each event in our Jewish tradition. It’s just one way we make Judaism relevant, accessible and meaningful today. Please contact Mikey Latner, Assistant Camp Director, at mlatner[AT]urj.org with any questions. Go to The Best California Summer Camps Directory to Find More Top Summer Camps Near Santa Rosa, California.